Did you know that Michigan law requires you to move your vehicle from the main traveled portion of the roadway if you have been in a crash where your vehicle can be moved and there are no apparent injuries? If you are involved in a vehicle accident and there are no apparent injuries, look for a safe location to park your vehicle such as the shoulder, emergency lane, or median. Once parked in a safe area, call police to report the accident. Moving your vehicle from the traveled portion of the roadway protects your safety because there is an increased likelihood you could be involved in a subsequent collision if you remain in the roadway. 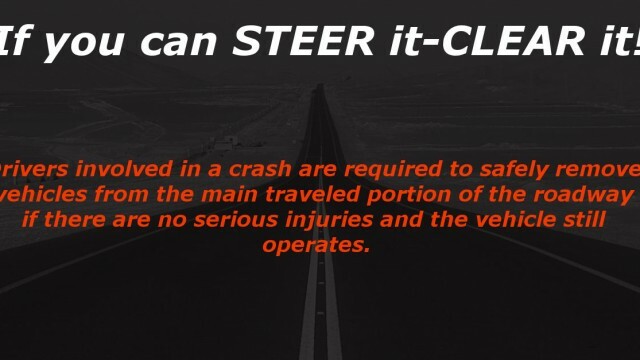 You need not worry about impacting the investigation of the crash by moving your vehicle, as police and insurance companies are trained to analyze crashes to determine the cause.